Founded by former NuForce CEO Jason Lim, NuPrime sells several higher-end NuForce products, plus it has developed additional NuPrime-branded gear. What distinguishes NuPrime components from those of most competitors are their prices, which range from moderate to (are you sitting down?) outright bargains. The equipment under review is potentially in the latter category. So just how low are the prices of the 9-series NuPrimes? The DAC-9 is priced at $749, the STA-9 at $649, and the HPA-9 at $649. But wait! While these prices make the 9-series components inexpensive (I started to say dirt cheap, but there’s nothing dirty about them), they are bargains only if they sound good. Let’s find out if that’s the case. 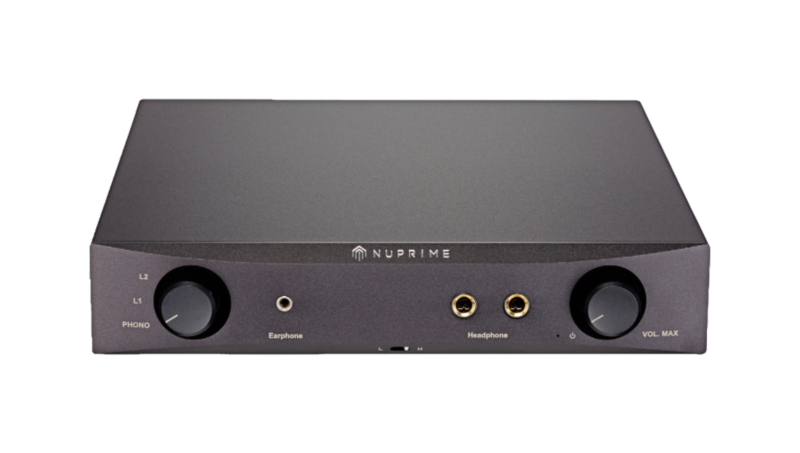 Let’s start with a quick overview of the 9-series NuPrime components: The DAC-9 is quite versatile, playing PCM files up to a 384kHz sampling rate and DSD files up to DSD256—which should make it capable of playing virtually any commercially available recordings (except MQA-encoded ones). A built-in volume control lets it drive power amplifiers directly. The STA-9 power amplifier produces 120 watts per channel and can be bridged for 290 watts (all ratings into both 8- and 4-ohm loads). The HPA-9 phone preamp/headphone amp has output jacks for three headphones (two 6.3mm and one 3.5mm) ranging from 16 to 1000 ohms. With its two line-level outputs, two line-level inputs, and mm/mc phono input, it can be used as a system controller. All three components are identically sized with dimensions of 9.25" x 2.17" x 11.06" and are available in black or silver chassis with similar front-panel styling. They all come with one-year warranties for parts and labor—reasonable for components at these prices. Now let’s look at each in more detail. The DAC-9 DAC can also serve as a system controller, as it has several digital inputs, an analog line-level input, balanced and unbalanced outputs on XLR and RCA jacks, respectively, and most importantly, a remote control. It uses a field-programmable gate array (FPGA) as the volume control, with a ladder-type switched-resistor setup that ensures that there’s only one resistor in the volume control circuit at any time. It provides 99 volume settings in 0.5dB increments—impressive at any price. The DAC chip is an AK4490 EQ. DSD decoding up to DSD256 is becoming pretty standard via asynchronous USB inputs, but the DAC-9 also provides DSD decoding on the SPDIF input, and can even output DSD via DSD over PCM (DoP) coding on the SPDIF output, so, if you wanted to, you could use it as a USB-to-SPDIF converter. Native DSD decoding is provided via ASIO 2.1 or DoP. As usual, a separate driver is needed for Windows computers, and these drivers are downloadable for Windows XP and Windows 7, 8, and 10. A downloadable user manual is available on the NuPrime website. Although described as a PDF-format file, it actually turned out to be a Microsoft Word document, for what that’s worth. No big deal. The HPA-9 phono preamplifier/headphone amplifier is billed as a system controller, but has no remote control or balanced output, so unless you need a headphone amp or a phono input, the DAC-9 might offer more flexibility as a controller. The Class A HPA-9 provides a maximum output of 450mW into a 32-ohm load, 100mW into 600 ohms, which should drive most headphones satisfactorily. The phono preamp has an input load of 47k ohms for mm and 100 ohms for mc, with sensitivity of 4.0mV on the mm input and 0.4mV on the mc input. The default setting is for mm, but an internal switch changes that to mc. Here’s a design feature I hadn’t seen for some time: The volume control also serves as the on/off switch; turning it all the way down turns off the unit. Rather than evaluate each component separately, I set them up as a system, although I’ll comment on each one later. As anticipated, two of the 9-series components fit onto a single 19-inch-wide shelf on my equipment rack. Because the DAC-9 was the only component with a remote, I used it as the system controller. The HPA-9 was the first component in the chain, and I connected my analog sources (a turntable and an FM tuner) to it so I could use its selector switch to choose an analog source. I connected one of the analog outputs of the HPA-9 to the analog input of the DAC-9, and connected my SOtM sMS-1000SQ digital server via USB cable to the DAC-9’s USB input. (Since the SOtM server is Linux-based, there’s no need to install a driver.) The DAC-9’s selector switch allowed me to choose among several digital inputs and a single analog input, which was the output of the HPA-9. I configured the STA-9 amplifiers as monoblocks and connected the DAC-9’s left and right unbalanced outputs to each monoblock via an unbalanced cable. Each STA-9 drove a KEF LS50 speaker. Each NuPrime component came with its own power cord, which I used. (Although these appeared pretty undistinguished, at this price point it seems unlikely that a potential user would invest in an aftermarket power cord.) All power cords were plugged directly into my wall outlet. I also used the rather flimsy-looking USB cable that came with the DAC-9. If I were upgrading the stock cables, I’d start with the USB one, but for the review, I used the stock. Given that I received two STA-9s, I first connected them in their monoblock configuration. Jason Lim had told me that “due to the bridging circuit’s design, [the monoblock] actually sounds livelier and more dynamic.” Of course, I had to check out that claim during the review. The instruction manuals that came with the components each had a quick-start section; these were clear and unambiguous. It’s important to read each manual carefully and follow it to the letter. I tried to skip a couple of steps and later had to retrace my steps and consult the instructions. Hopefully you won’t make that mistake. Line drawings of the components illustrate the layout and control placement of each unit. When you flip the power switch on the rear of the DAC-9, the unit is placed in standby mode. You must first press and hold down the left knob for three seconds to put it into play mode after which a display appears on the front panel telling you which input is selected and the volume level. Or you can just use the power on/off switch on the remote. The initial input is always the coaxial (SPDIF) input and the initial volume setting is 50, which may be a bit loud. When a file starts to play, the DAC-9’s display shows you the file type and sampling rate. After a couple of seconds, the display switches to the input selected and the volume setting. You then have to select the USB input if that’s what you’re using (which will be the case for virtually all computers).